Just in case any of you ever doubted our metal roots, you know who you are, we are beyond excited to announce we’ll be hitting the road later this year and into 2018 with none other than the legendary Black Label Society. Yeah that’s right, starting December 27th in Denver, The Noise will be out on the road with Zakk Wylde and company as they hype up their upcoming album Grimmest Hits – which is due out January 19th via eOne. 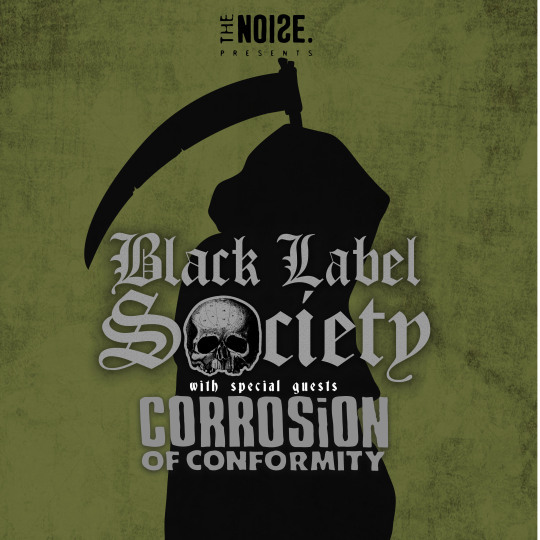 Supporting Black Label Society on their 45-date tour (yes, 45 dates; so no complaining that they aren’t coming to your city) will be longtime heavy metal outfit Corrosion Of Conformity and, on select dates, Eyehategod and Red Fang.